Want to get 15 minutes of fame? How about 15 days or weeks of fame? Here’s the answer: just brutally kill someone, get the attention of the media, and there you go. 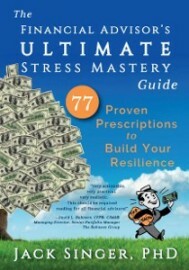 Stress Mastery Rx #8. Events in your life represent only about 10% of your stress. 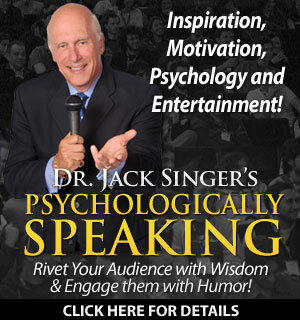 What you DO about those events – particularly what you SAY to yourself about those events – represents the other 90%. Some celebrities (certainly not all) possess a narcissistic personality disorder, plain and simple. The prescription for today is: Let go of resentment y0u are harboring toward anyone or anything. Don’t harbor grudges. Forgive those who have hurt you and move on. Did you know that workplace bullying is occurring in the US at an alarming rate? 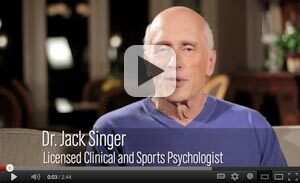 Dr. Jack Singer tells you how to identify it and how to effectively deal with it. Deal better with stress by recognizing that not all change is bad. Embrace it and learn to cope with it by being more fluid with your thoughts. One of the most effective and oftentimes free ways to reduce stress it simply to get and stay fit. Run, bike, swim, walk with your dog, kids, spouse or friend and enjoy the fresh air and scenery. Or find a great place close to home to hike each week. Aerobic (heart rate increasing) exercise releases endorphins. Other ways to benefit from exercise are dancing, gardening, or raking leaves. You don’t have to engage in vigorous activity to benefit. Change is not necessarily a bad thing. Embrace it, and find ways to see the positive outcomes of change for you. I suggest you sit quietly with a notepad and pen and list what coping and buffer skills you need to work with. Managing interpersonal conflict in organizations is among the most critical and important skills that employees on all levels of the organization can possess. Job insecurity, fueled by fears of downsizing, mergers, the unstable economy and an unknown organizational future, produces fertile ground for the development of conflict. Moreover, advances in technology , which are often viewed as threatening, magnify the potential for anger and frustration in the workplace.